US Secretary of State Hillary Clinton has attracted criticism for comments made in Tbilisi, which Russia says could cause the Georgian government to initiate another misadventure in the region. reads the comment posted on the Foreign Ministry’s web-site by its official spokesman Aleksandr Lukashevich. 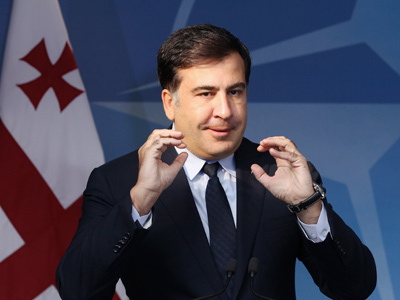 “Today, we have an impression of déjà vu as high-placed American officials are again making vocal statements in support of Mikhail Saakashvili, repeating word by word the deceptive thesis of his propaganda about “Russian occupation of Georgia,” the Russian diplomat wrote. 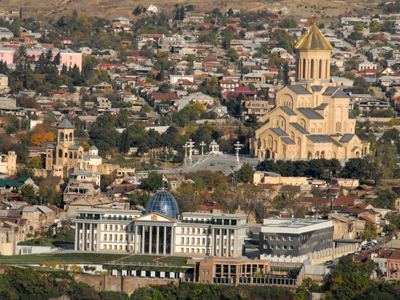 Such comments are “heating up Tbilisi’s revanchist urge, but in Washington they do not completely understand the level of responsibility,” he added. The Foreign Ministry’s statement was in response to comments by Clinton, who said the “United States remains steadfast in our support for Georgia's sovereignty and territorial integrity,” and called upon Russia to commit to the 2008 cease-fire agreement. “We … call on Russia to fulfill its obligations under the 2008 cease-fire agreement, including withdrawal of its forces to pre-conflict positions and free access for humanitarian assistance,” Clinton said in Tbilisi. 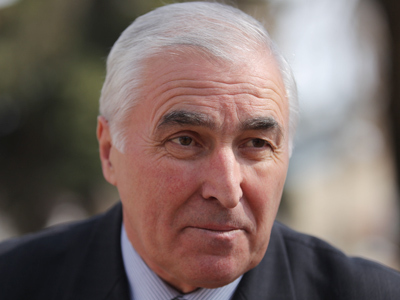 Lukashevich reminded that active support from the US side, which include the promise of NATO membership and weapons deliveries, are responsible for forming Mikhail Saakashvili’s “complex of permissiveness” that eventually pushed the Georgian leader to launching a military offensive against South Ossetia. “As a result (of the attack), hundreds of civilians lost their lives, Russian peacekeepers were killed. We had to bring the aggressor back to their senses,” the spokesman said. 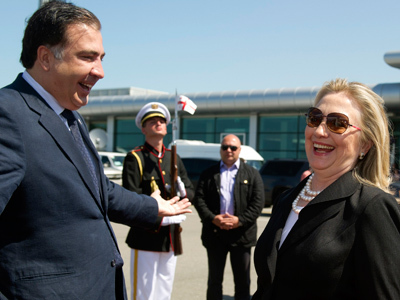 A short time later, the Russian diplomat also commented on Hillary Clinton’s words that the United States planned to continue military cooperation with Georgia, saying that this was “a new statement, far from responsible approach, that was additionally stimulating the Georgian authorities to start new military conflicts in the Caucasus". Lukashevich stressed that this all gave an impression that the US side was still ignoring Russian worries and its position over the 2008 conflict. The states of South Ossetia and Abkhazia announced their independence from Georgia in the 1990s, which led to several years of bloody conflicts. Eventually peace was established in the region under Russian peacekeeping guarantees. 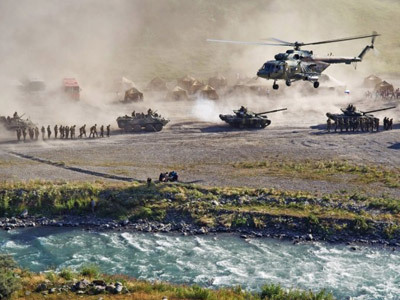 In August 2008, Georgia opened a massive artillery attack on South Ossetia, and Russia intervened under the CIS peacekeeping agreement. The military conflict lasted for less than a week. In the aftermath of hostilities, Russia and several other nations recognized South Ossetia and Abkhazia as independent states.